A very nice lift sits idle facing an uncertain future at The Hermitage Club this spring. Berkshire Bank’s foreclosure on the largest private ski resort in New England is moving forward, Vermont Public Radio reports. A judge sided with the lender yesterday allowing a receiver to soon take over operations of Haystack Mountain, a golf course and associated properties. The Massachusetts-based bank says the Hermitage owes $16.3 million in principal plus penalties and interest on three loans initially worth $17.1 million. In his decision, Judge John Treadwell wrote the Club “lacks sufficient resources to adequately protect and preserve the subject property.” The news comes a week after Hermitage management said two buyers were interested in purchasing the resort. Earlier in the week, the same court ruled in favor of a man owed $1,373,693 on a $1.4 million loan for a nearby inn the Hermitage bought. Club founder Jim Barnes has 30 days in which he can reclaim that property, which currently sits empty with no insurance. Judge Treadwell also signed off on an Iowa company’s request to repossess 74 golf vehicles with help from the local sheriff. The court then ruled in favor of a New York couple who paid nearly a million dollars for a slopeside townhouse that was never delivered. A local excavation contractor also filed suit this week seeking $450,000 plus interest for work allegedly completed but not paid for. The exclusive ski resort near Mt. Snow includes five chairlifts, three of which are just a few years old. The flagship is one of the first lifts with heated seats and bubbles in the United States and cost $6.9 million. There are also two new Skytracs which could prove valuable in an auction. The ski mountain last operated on March 25th, after which it was shut down by the Vermont Department of Taxes for the second time in a month. 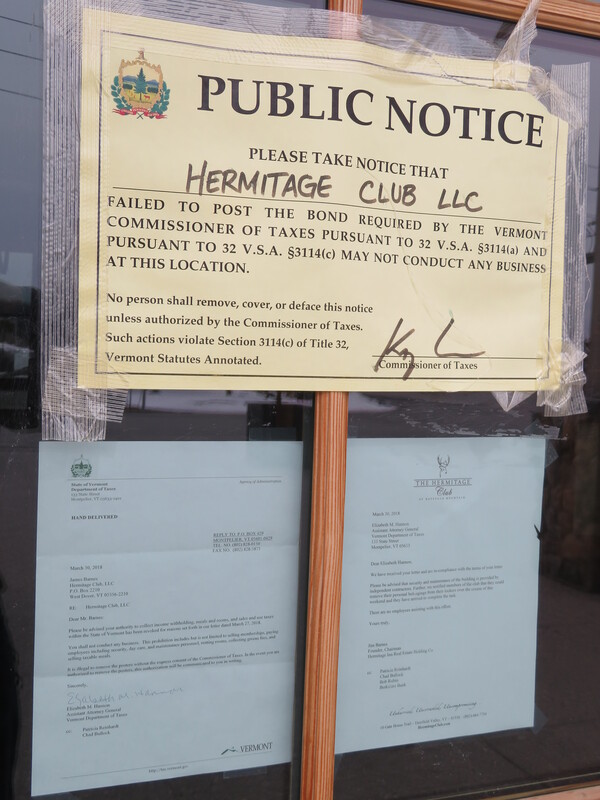 The Hermitage Club reportedly owed the state more than $1 million in sales, meals and rooms taxes plus property taxes to the towns of Dover and Wilmington. Berkshire Bank says it paid many of them to avoid a tax sale. The proposed receiver, FTI Consulting, is the same outfit that assisted during the Yellowstone Club bankruptcy and reorganization. The Hermitage will become the third Vermont ski resort currently in receivership. 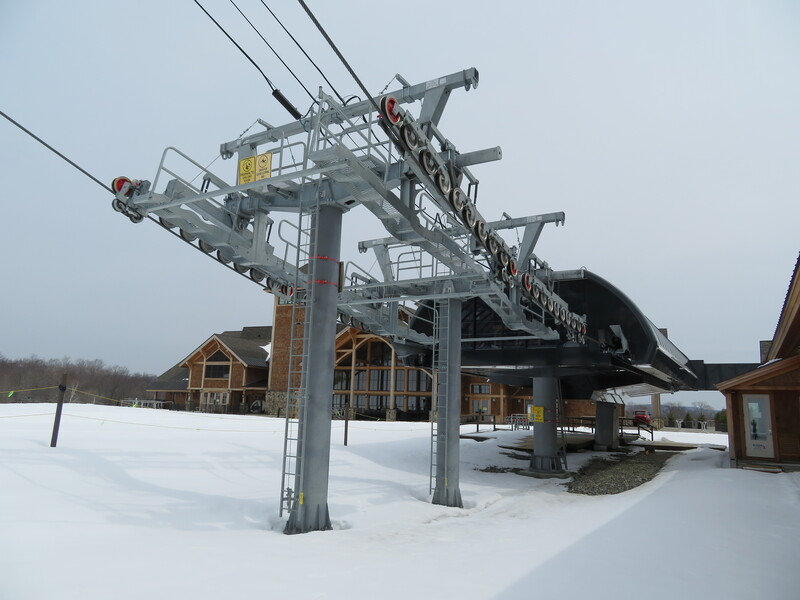 Back in 2016, a federal court appointed a Florida law firm to temporarily take over Jay Peak and Burke Mountain following emergency action by the Securities and Exchange Commission. Hopefully all three mountains will find capable new buyers in the year to come. Why would anyone want to buy that mess? They got into this position for a reason, and someone’s gotta pay back all that debt. Not so fast. There are plenty of scenarios that don’t end in liquidation. Obviously the current business model didn’t work but we are talking about a 1,400′ vertical turnkey mountain within 250 miles of 53 million people. 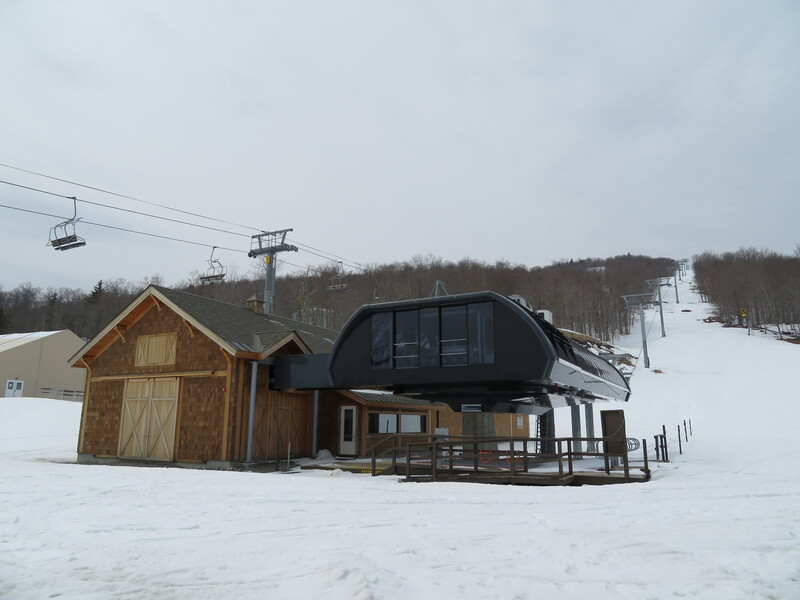 One with brand new lifts, a big new lodge and great snowmaking. Get rid of the excess hotels, airport, concerts, maybe even some of the lifts and the core property is an opportunity should someone choose to take it. outside scenery and modern lifts. A wedding at the top and a party for 500 in the clubhouse at the bottom of the hill, sounds to me like a business opportunity someone needs to look at. I think they do weddings already….Not sure about parties though. It’s a multi-million dollar mess though. It’s going to take more than weddings to get out of.